Whilst commercial patterns are a mainstay of our sewing here at Jane White Tuition, we do usually alter them in some way. It might be a fitting alteration, moving a dart or seam into a more flattering position, adding a stylish feature or a more radical remodel. We also make our own sewing patterns from basic skirt, trousers, bodice and sleeve garment blocks. Drafting your own pattern blocks using your personal body measurements then making a toile (fitting shell) will help you achieve an excellent fit. You will also learn how to understand your body shape and the fitting adaptations you can use. You will experiment with pattern manipulation techniques to transform your blocks into stylish garments. Drafting is not as complex as you might think. 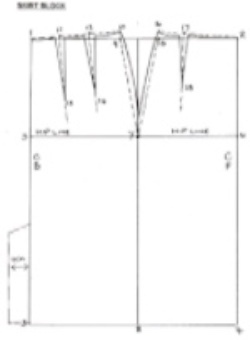 If you can use a calculator and then measure a line, you can pattern draft! If you can’t make all four days you can still join me and work on a specific block. For more information just get in touch or go to the Sew Short Course page. 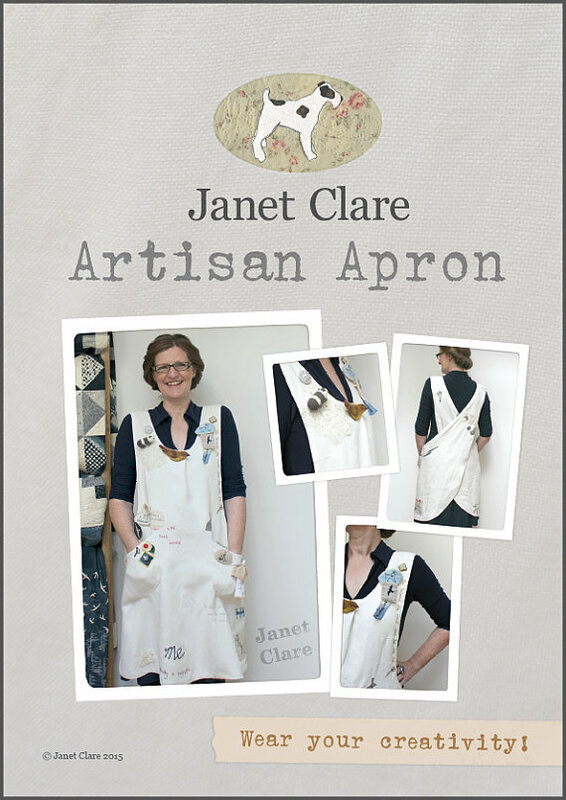 Join Sewing Bee Sue’s stylish example by making your own version of Janet Clare’s famous artisan apron. 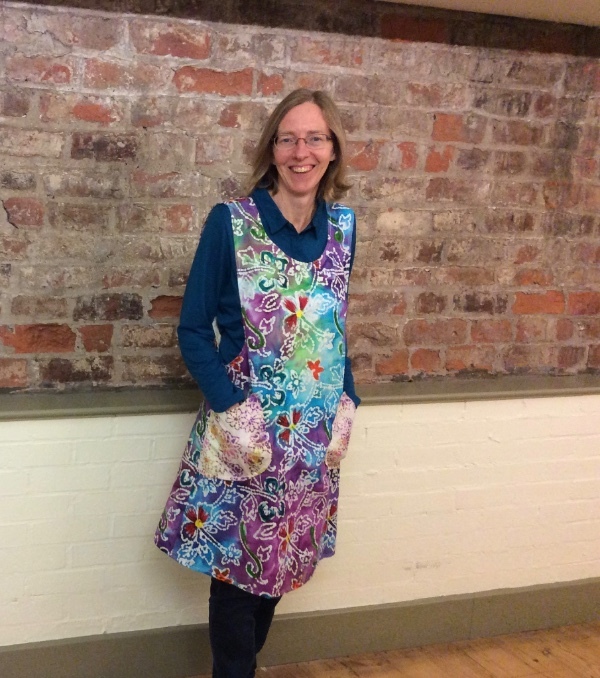 Will yours be used as a funky summer tunic (like Sue), a fabulous workroom cover-up – just think about how much you can get in those pockets? Let your creativity run riot with your fabric choices. I’m planning a Chanelesque version in lovely tweed with fringing and chain. This is the perfect project for a new sewer or a sewing ‘quick-fix’ garment. Go to the Sew Short Course page for more information. You wouldn’t believe how many overlockers, still in the box, visit the workshop with their terrified owners. They are usually accompanied by machines who have been misbehaving! If this is you, or you would just like to try one out before you buy, my three-hour session will get you up and running, confident and in control of your machine. 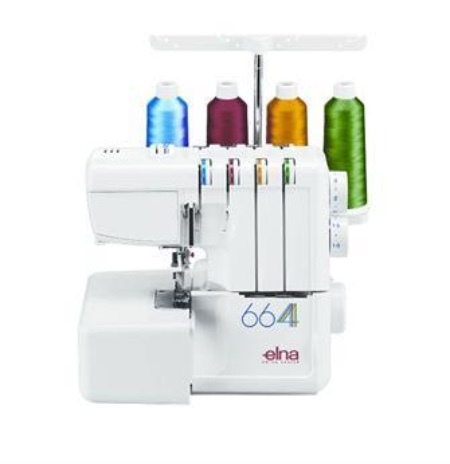 I will cover how to get it out of the box, threads, my easy re-threading method, conquering the dreaded lower looper, threads, changing needles, 3 and 4 thread overlocking, balancing the tension dials, jersey, tricky fabrics, narrowed and rolled hemming. After a steady supply of tea, you will go home loving your machine ready to tackle jersey and beyond. Go to the How to use an overlocker page for more information. I hope there is a June course to tempt you. Don’t forget about the friendly and fun Sewing Bee Workshops where you can work on your own project.